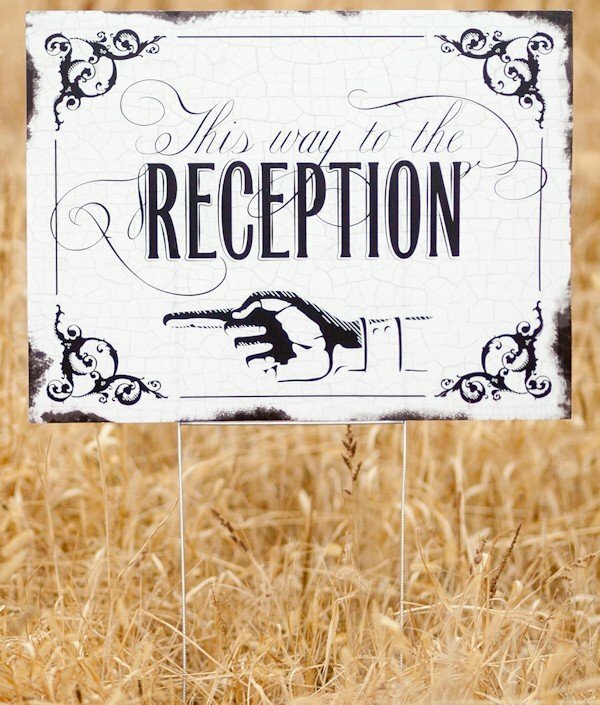 If the route to your reception venue involves a lot of twists and turns, it may be a good idea to direct your guests with this black and white vintage sign! 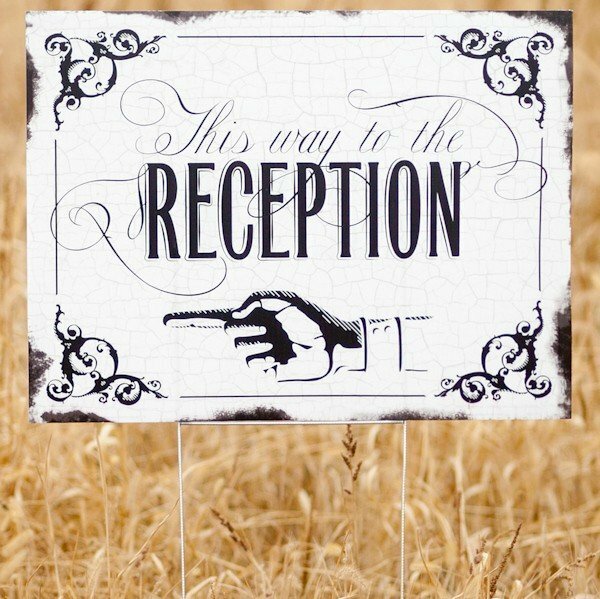 Even with current-day GPS options, you'll want to be sure everyone arrives at your reception on time and our 24" by 18" waterproof sign can help. We include metal stakes to secure the sign into the ground, just be sure to point the finger in the right direction! A matching "This way to the Wedding" sign is also available (item number 20780).